If your house is already connected to the grid – or your new house is close enough to get connected – would you ever consider going off-grid?. Contrary to popular belief – my answer is definitely NO. 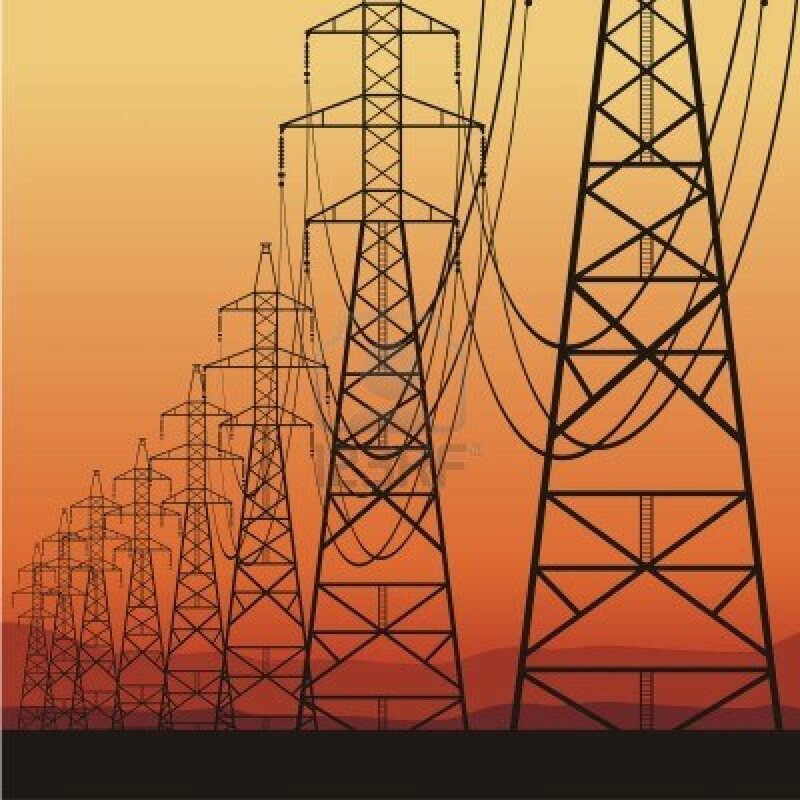 Unless you’re concerned about PG&E’s smart-meter radiation or afraid that the NSA will snoop on you thru the power lines there is no need to be off-grid. That of course doesn’t mean you can’t build an energy neutral house that produces more power than it consumes. In fact I’ll go out on a limb and predict that the next revision of the California Building Code will require all new houses to have a grid-tied solar system installed. Other than the romantic notion of living off-grid it does take a certain personality to deal with the maintenance of the batteries – monthly equalization and rehydration is not for the fainthearted. Dealing with highly toxic gasses and boiling acid from the battery cells is quite dangerous if you don’t know what you’re doing. Another good reason for being grid-tied is that the grid acts as your infinite battery bank. You don’t need 10,000+ lbs of batteries in a shed or full redundancy of all solar components so you can tolerate a failure. 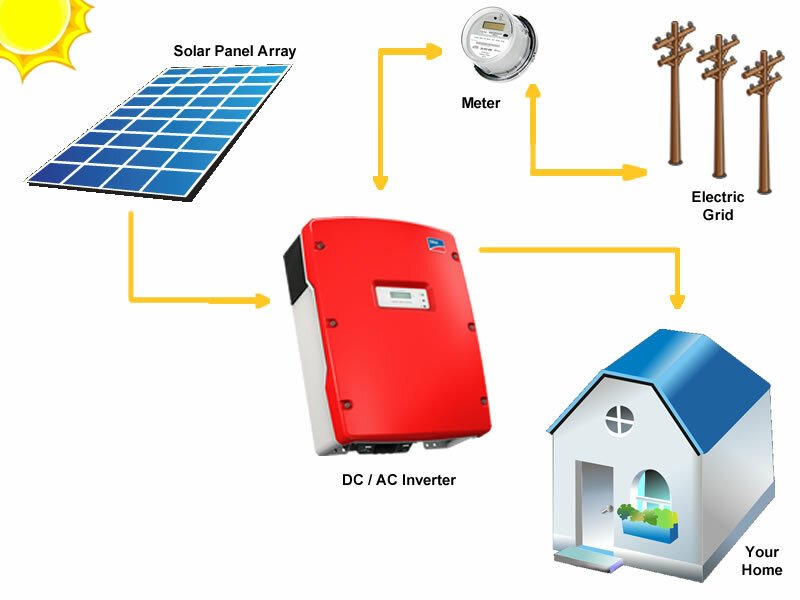 All you need is enough solar panels to off-set your daily energy use (see earlier discussion about scaling your PV array https://modern-off-grid.com/2013/12/30/off-grid-solar-101/) and a grid-tied inverter that will sell back the power to PG&E that you don’t consume and perhaps a single battery (not shown) to provide enough backup power for a few hours in case of a blackout. The cost of such a system is probably a quarter of an off-grid system. I’ll be cash-flow break-even after only 8 years. The suggested array size of 3.5kW will provide a net zero energy consumption. The net cost after tax deductions is roughly $10,000. Other than making $40,000 back on your investment you can also feel good about saving 100 tons of CO2 greenhouse gasses over the lifespan of the system. Try for yourself – there are hundreds of companies now offering full service PV systems including all hardware, installation and financing.